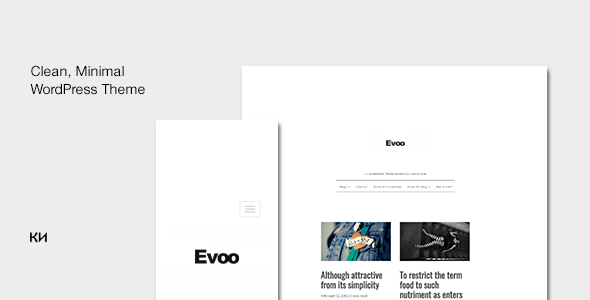 Evoo ( may known as Evoolution as well ) is a HTML5/CSS3/Bootstrap optimized clean animated, responsive minimaltheme perfect for multi-purpose blog themes focused on reading. WPML also supported by default. December 3th - Initial update. If you donâ€™t want to spend time on customizing the theme, you can hire me.